Home » Healthy » Teeth » Is Toothache Can Creeper? Doc, I have the unpleasant experience with gear. Firstly, I feel sick tooth (swollen gums) on the upper right molars. after almost 3 weekly, after taking such drugs and antibiotics ponstan, arguably sick healed, but the tooth is still rocking. Shortly thereafter, about a week, I felt sick again on the molar tooth bottom left. Swollen gums as well. Treatment same as the first way. After nearly two weeks, the pain subsides somewhat. But not yet completed, I feel toothache again, this time in the upper left molars. Thus, a total of 3 times my toothache with successive deadlines. Excellent strange and boring. My question: Is that a toothache can be spread? Why is this so? What should I need to do so that my teeth do not hurt anymore. I'm bored with this kind of toothache. Please advise a way out. Previously, I discuss first how a healthy oral condition. Oral health according to the World Health Organization (WHO) is a state free of any chronic disease and facial pain, oral and throat cancer, oral soft tissue injuries, congenital abnormalities such as cleft lip and palate, dental supporting tissue disease, cavities, missing teeth, diseases and other disorders that affect the oral cavity, as well as risk factors for oral diseases such as unhealthy diet, tobacco use, alcohol consumption, and poor oral hygiene. In your case, namely swollen gums and teeth shake in 3 consecutive region in 2 months, can signify many things. Actually necessary clinical and radiographic examination beforehand to find out what you're going through. However, I will give you some possibilities. 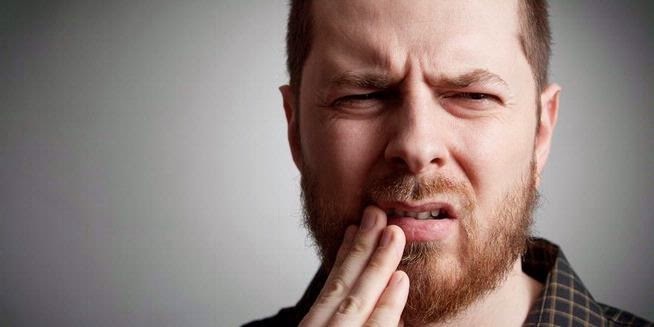 The first possibility is that you are experiencing inflammation of the gums and supporting tissues of the teeth. The condition of this disease is characterized by swollen gums can in most regions or entire regions of teeth, gums often bleed, sometimes there is pain, tooth rocking, and bad breath. The disease is caused by the buildup of plaque and tartar, systemic disease, the consumption of certain drugs in the long term, or an irritation resulting from the use dentures or braces. The second possibility is that you are experiencing inflammation in the tooth root tip. The condition of this disease is characterized by pain when biting food, and sometimes there is swelling in the gums near the tooth root. The disease is caused by the presence of cavities in, which left alone and do not get treatment. As well there are some other possibilities. You are experiencing dental pain is not spread as a result of the first dental pain you experience, but maybe your oral condition unfavorable. Thus causing everything going on in consecutive time. If you are bored and want to avoid going back tooth ache as you experience today, first of all let's evaluate where your mouth first. Is your mouth before appearing pain is approaching a healthy state as I say in the beginning of the paragraph? If it has not met the healthy state, it is definitely one mouth disease will attack your oral cavity. a. Brushing teeth with a large circular motion to the front and side, the movement to pull out the inner face of the tongue and palate, as well as shuttle service to the crown section (upper) teeth in a minimum of 2 minutes. Movement is done with light pressure, use a soft bristle brush or moderate, and do brush your teeth after breakfast, after lunch, and before bed. b. Cleaning of plaque and tartar with the help of Dentists, a minimum of 6 months. c. The use mouthwash as an antibacterial agent. d. Use dental floss and brush the tongue as an additional purifier. 2. Perform dental fillings or root canal treatment if needed. 3. Doing the right diet, it means reducing the consumption of refined carbohydrates and acidic drinks or carbonated between main meals, to prevent cavities. 4. Avoid bad habits such as smoking and alcohol consumption, as bad for the oral cavity. By doing simple things such as the above, hopefully you can avoid toothache again. Not to forget, this time you should go to the nearest Dentist for further testing, so as to determine the diagnosis and determination of further treatment. Thus Mr. Uhan, may be useful.